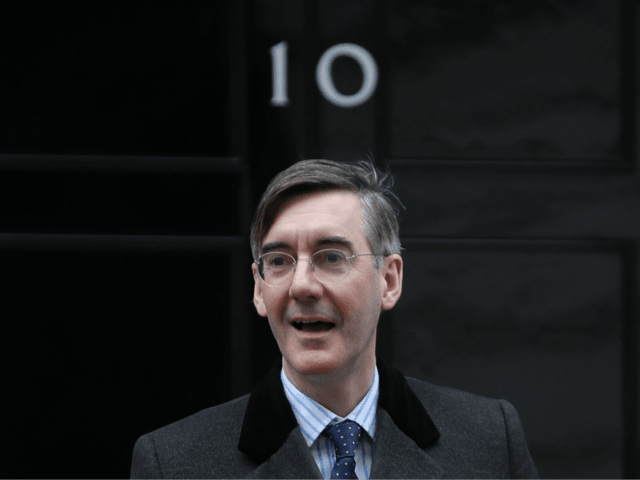 Leading Brexiteer MP Jacob Rees-Mogg has said peers working to frustrate Brexit in the House of Lords are “contemptuous of democracy” and “out of touch with the people”, calling them “cave dwellers”. On Wednesday, the Lords passed by a strong majority an amendment to the European Union (Withdrawal) Bill, forcing ministers to report to Parliament on their efforts to keep Britain locked in a customs union with the EU. It was just one of 388 amendments proposed by unelected peers that could frustrate or reverse Brexit, which was voted for by 17.4 million people. “The customs union is a means of trying to stop Brexit happening,” the Conservative MP and chairman of the European Research Group told Julia Hartley-Brewer on Talk Radio. Jacob Rees-Mogg: "There are cave dwellers in the Lords out of touch with the mood of the British people and the people will win." “Keep us in the customs union, keep EU tariffs, keep close align with regulations – it means we don’t really leave. “And you saw this in the House of Lords… Peers receiving large pensions from the European Union voting to protect their vested interests. “Consistently, polls have shown, that 60 to 70 per cent of people have accepted the result [of the Brexit vote] and want us to get on with it. “There are a few cave-dwellers in the House of Lords who are committed to opposing Brexit altogether, who want to keep us in, who never liked the vote to leave, who are contemptuous of democracy, and they are increasingly out of touch with the mood of the British people. Some peers appear to agree with Mr. Rees-Mogg, with former minister Lord Forsyth reminding his colleagues before the vote that they are an “unelected house” and calling the amendments “a campaign putting peers against the people”.